The proposed bylaw changes by the ACM SIGGRAPH Executive Committee (EC) have been approved by the ACM EC when the member voting failed to meet the ten percent rule required for all bylaw changes. These changes will start in the voting taking place in next summer's elections. The biggest bylaw change is all elected positions will become director positions rather than electing a person to a specific position such as the President, Vice-President, and Treasurer as we have done in the past. The EC will select new officers from within the EC to serve one-year terms. The officers will be the Chair, Chair-Elect, Treasurer, and Treasurer-Elect. The Chair-Elect will become the Chair and the Treasurer-Elect will become the Treasurer the following year. As some of you know, choosing to volunteer, particularly for these key leadership roles, is a huge time commitment. Many of us are at junctures in our careers where we may not be able to volunteer for one of these larger roles due to time constraints; this new structure within the EC would share the work more broadly across the directors of the EC and lessen the burden on a specific position. It is our hope in adopting this new structure our nominating committee will have a larger, more diverse pool of candidates who would consider taking on a leadership position within the EC. 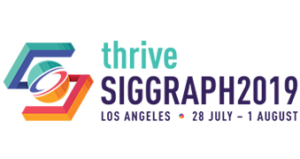 The SIGGRAPH EC worked with experts in nonprofit governance to put forth modifications around the organization’s structure and processes of voting/elected positions. Internal elections are becoming standard practice for nonprofit, volunteer-run boards, as are one-year terms for the elected officers. The second important change revolved around creating a structure that accurately reflects our diverse community and will enable us to be more representative of our membership. Instead of being presented with a total of N+1 candidates for N positions as is specified in the previous version of the Bylaws, voters will be presented with at least two candidates for each specific position. This will enable the ACM SIGGRAPH Nomination committee to “bucket” candidates into positions to ensure all open director roles aren’t filled, for instance, with members who are from academia or that the EC doesn’t have only representation from North America. With this modification to the Bylaws, the nominating committee is able to achieve increased diversity in skillset, area of expertise, and geography on the EC. Lastly, the third major change to the Bylaws is the EC will be allowed to appoint three voting members to its rank. Currently, the both Chairs of the Conference Advisory Groups for the North America and Asia, for instance, serves in an ex officio, non-voting capacity. As we are all aware, both SIGGRAPH conferences are our group’s marquis outward-facing programs, and we feel it is important to have at least one of these individuals in a voting position. This change will also allow the EC to increase representation and expertise from core constituencies as needed to complement the make-up of the elected EC. The EC worked on these modifications for the past two years to achieve a more modern, efficient, flexible, and diverse volunteer-run operation. These Bylaw changes will allow us to be more representative of the ACM SIGGRAPH membership, and in turn, help us create a strategic direction and programs that will better benefit the entire community.